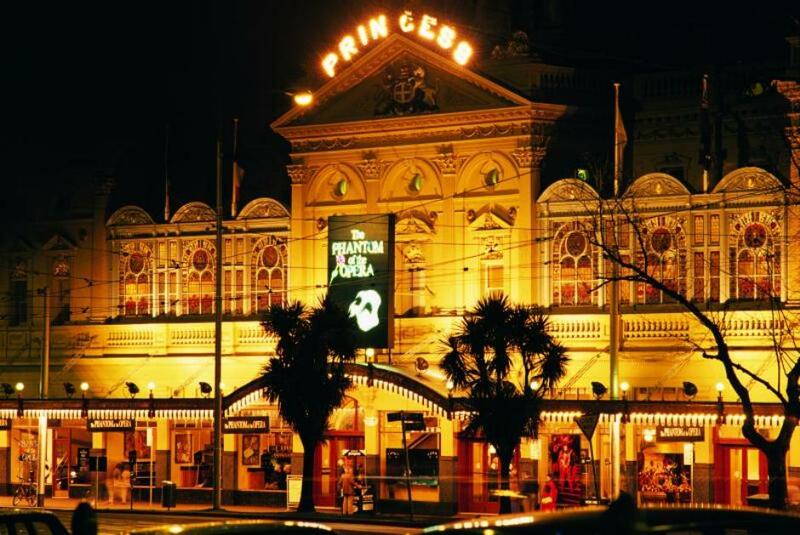 Princess Theatre an iconic building on the Spring Street in Melbourne, Australia opened in 1857 and was again redesigned in 1886. The theatre has staged the world’s most successful productions like Phantom of the Opera, Cats, The Producers, Les Miserables and Mama Mia! This flamboyantly modeled theatre is haunted by a “theatre ghost”, Frederici. Frederici, an Italian baritone singer died on the stage at Princess Theatre in 1988. This happened on 3rd March 1988 during the final act of the Gounod’s opera Faust. Frederick Baker or Frederici was playing the role of Mephistopheles. The last scene was that Mephistopheles returns to the fires of hell and smoke. Frederick was lowered through a trap door below the stage to show his journey to hell. When he fell beneath the stage, Frederick suffered a heart attack and he died. He was only thirty eight years old. That day after the performance, cast took its bows. They were then informed that Frederick had died. The cast was confused as they had seen Frederick take a bow with them. This was the first time the ghost was seen. 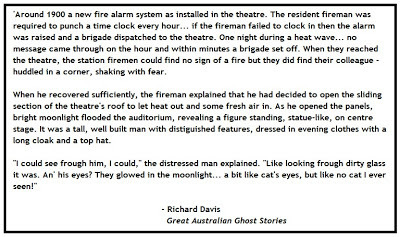 Many have reported of seeing Frederick’s ghost. In his remembrance, for many years on every opening night a seat would be left for Frederici in the dress circle. Frederici’s ghost would be considered as a sign of good luck for the play. Some have seen him seating in the dress circle well dressed. Some have seen him on the stage. Some have experienced mysterious lights or something not visible to them touching them and passing through the corridors. During the dress rehearsals many have seen him in grey shimmering lights. In the early 1970s while the making of a documentary film, photographs were taken of the film set in the Princess Theatre. The picture revealed an ashen-faced transparent figure. No one had seen that figure there that day. Many of them working in the Theatre had some kind of experience of his presence. Everyone has accepted him and doesn’t want him to go away. Frederici is called the most famous and friendly ghost of the world.